Local residents and visitors celebrated the Easter holiday with an Egg Hunt at Porter Park. The special event included over 15,000 eggs and prizes for the lucky egg winners. As a treat, the Easter Bunny was there and had plenty of fun with the children. 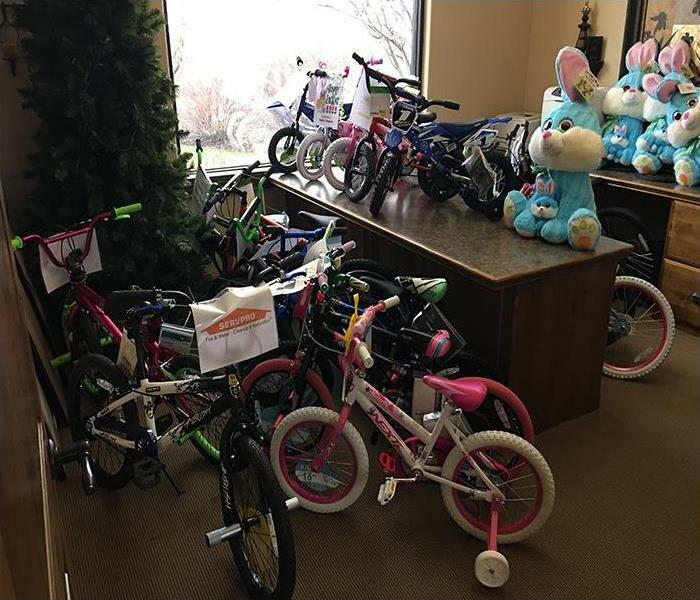 The SERVPRO of Idaho Falls team is always happy to support the annual event by donating prizes. As a local and trusted leader in the restoration industry, we’re here to help you recover from fire, smoke, water, flood or mold damage in the Idaho Falls and Ammon area. SERVPRO of Idaho Falls realizes that a fire at your residential or commercial space is very serious. As a member of the local Idaho Falls and Ammon communities, we do our part to help protect local residents. 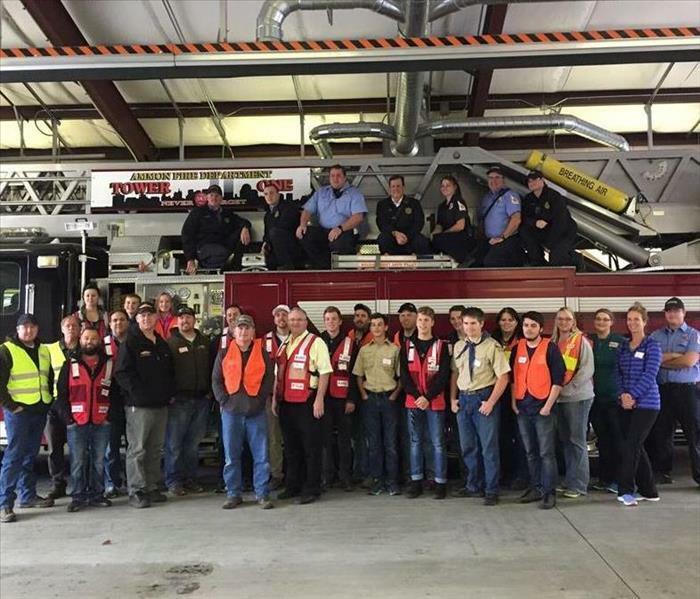 Our local SERVPRO team members joined the American Red Cross, The Ammon Fire Department and local partners, to install free smoke alarms in the local area. The effort was a great success as we installed 116 Alarms, plus supplied new batteries in 41 other local homes. More than 3 dozen volunteers helped fill the positions on our Advance teams, Logistic teams and of course, our Installers. 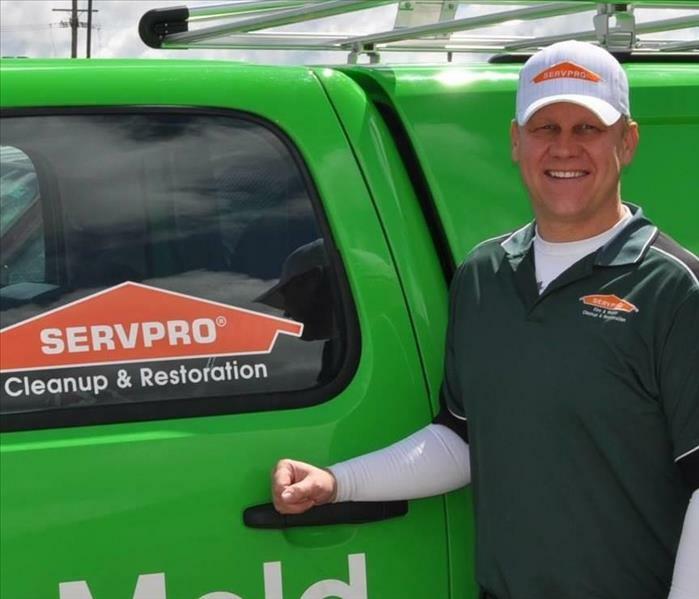 SERVPRO of Idaho Falls specializes in fire damage restoration. We are very happy to support the local community and help prevent fires. 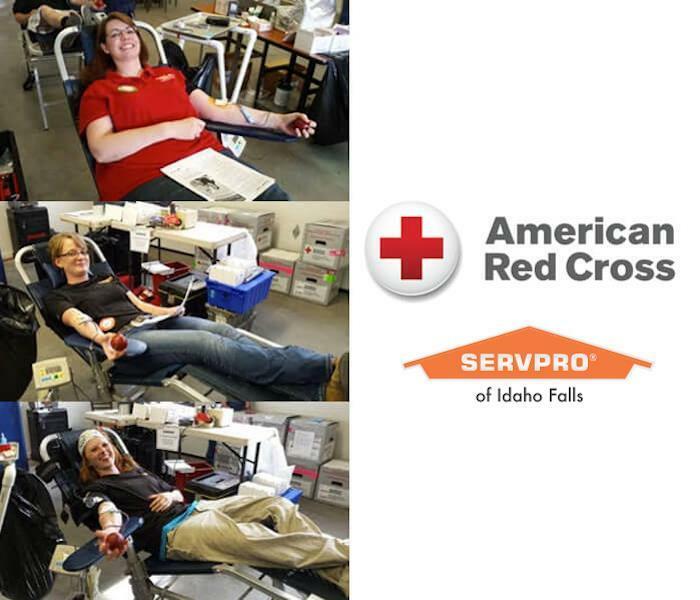 Our team at SERVPRO of Idaho Falls recently hosted an American Red Cross Blood Drive on March 30th, 2016. Our facility was the location for the event and we utilized the area where we treat water damaged and fire damaged content. We were overjoyed with the turnout and collected 15 units of donated blood. Our amazing SERVPRO staff set the example of giving as shown in the photo. The American Red Cross informed us that each unit of blood donated could save as many as three lives. We are so happy and proud that we had so many people participate and donate blood for future victims of tragedies. If you missed this event, keep an eye out for our next American Red Cross Blood Drive. We will sponsor another blood drive in the upcoming months ahead. You can call us or follow us on Facebook to find out when the next drive will be. Our phone number is (208) 523-5365.